This beautiful friendship bracelet is made with sterling silver corrugated and sterling silver smooth round beads 6mm in diameter. I have also included fresh water pearls and 6mm square Swarovski crystals. One bracelet is shown with clear crystals and the other one is shown with February.. They added two things... IN MEMORY bead and Puffed Heart Charm. 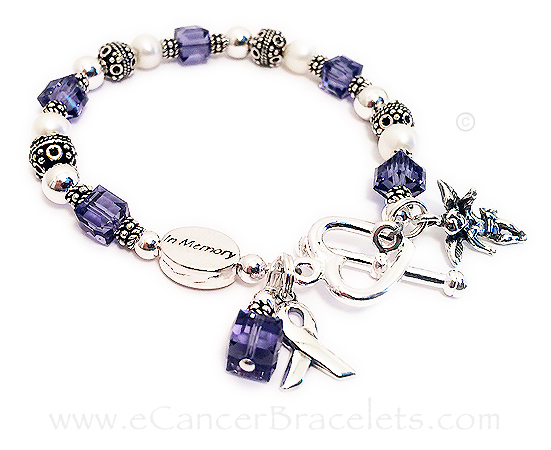 It also comes with a sterling silver ribbon charm and a matching Swarovski crystal dangle. 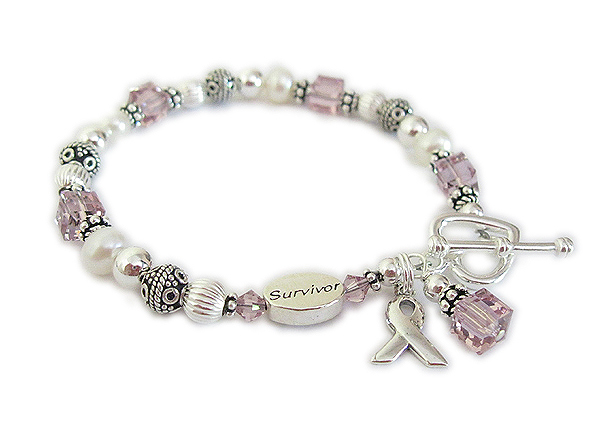 This can be a friendship bracelet, survivor bracelet, co-survivor bracelet, breast cancer bracelet, etc. 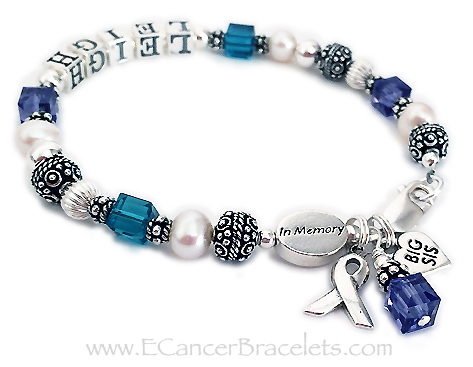 We also have IN MEMORY beads, COURAGE, HOPE or SURVIVOR beads. 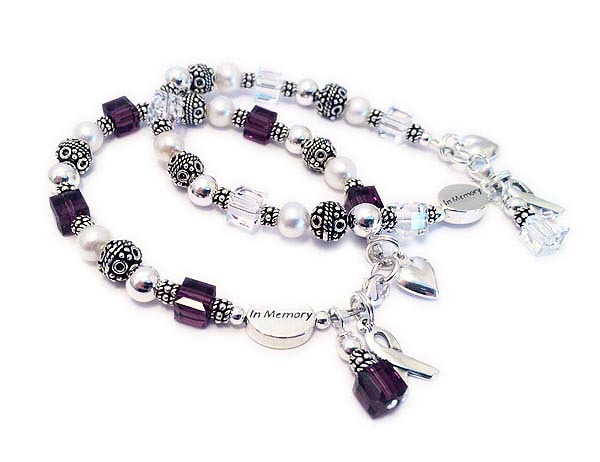 IN MEMORY bead, Angel with Wings charm and a Heavy Heart Toggle. CBBRibbon 25 - TWO bracelets shown above with lobster claw clasps. 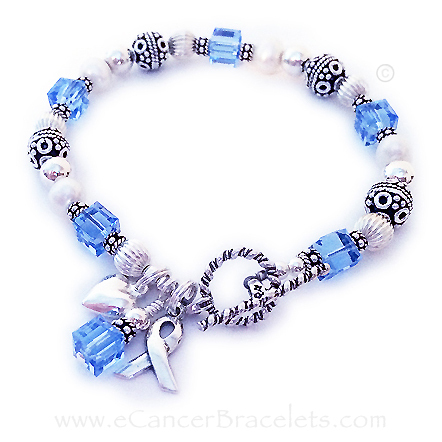 Shown with an add-on Puffed Heart charm and IN MEMORY bead. 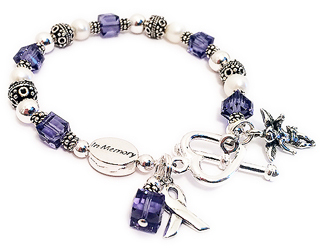 This bracelet comes with 2 charms; ribbon and crystal dangle. This bracelet is shown with1 add-ons; Small Puffed Heart charm and standard Twisted Toggle Clasp. This bracelet is shown with1 add-ons; Small Puffed Heart charm. 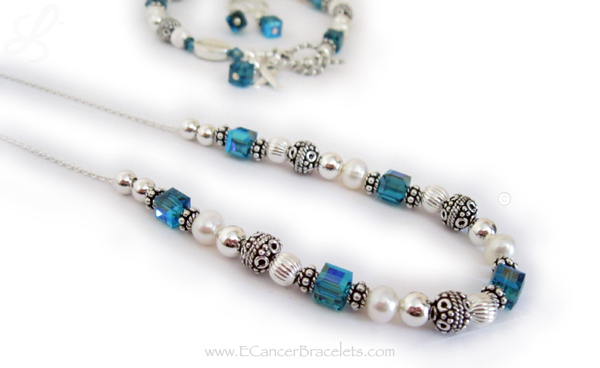 The ribbon and crystal dangle are included in the price. This bracelet is shown with the Twisted Toggle Clasp. 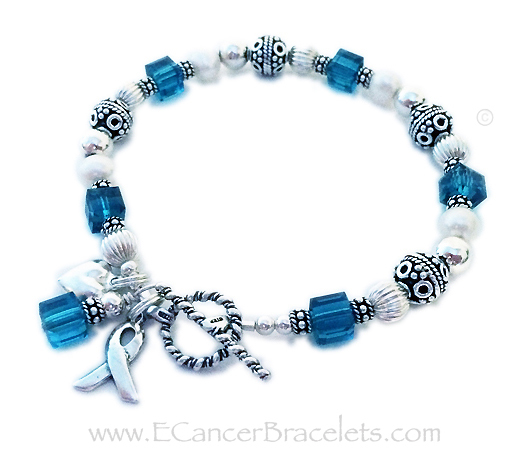 Lung Cancer Awareness or Bone Cancer Bracelet with a Twisted Toggle Clasp. Shown with an add-on IN MEMORY bead and an add-on Puffed Heart Charm.